The North Dakota State softball team secured its fifth straight No. 1 seed going into the Summit League tournament. For the fifth straight year, the No. 1 line of the Summit League Softball Tournament will be filled by the North Dakota State Bison. 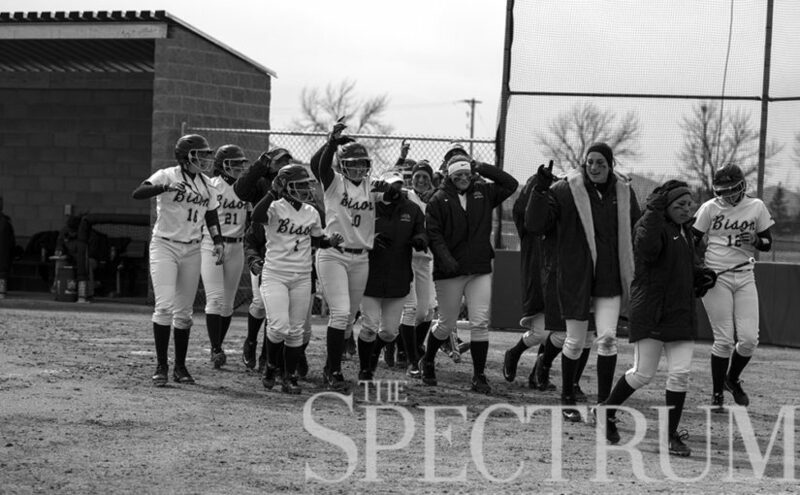 The Bison claimed the regular season crown again after completing the three-game sweep against the University of Nebraska Omaha over the weekend. The Friday doubleheader at the Ellig Sports Complex saw the Bison dominate from the mound, giving up just seven hits all day. The matinee saw Jacquelyn Sertic throw a gem, picking up seven strikeouts, while only walking one and giving up two hits for the shutout. With Sertic dominating from the mound, the Bison scored from a familiar source. Logan Moreland hit a two-run homerun in the third inning. It was her team-leading 12th homerun of the year. The Bison would add another pair of runs in the fifth off of series of Maverick errors, capped off by a Zoe Stavrou single to center. The game would finish 4-0. With that win, the Bison clinched the top spot in the standings, but the team was not done yet. For the encore, the Bison would continue their dominance. Leading the charge from the mound would be Kaitlyn “KK” Leddy. Leddy picked up where Sertic started, striking out six Mavericks and only surrendering five hits and one run. At the plate, the Bison started by a Maria Lopez-Portillo sole homerun in the second, her seventh of the year. The Bison would find high gear in the next two innings, when they would send nine hitters to the plate in each inning. Three runs in the came from singles off the bats of Cheyenne Garcia and Bre Beatty before Zoe Stavrou walked with the bases loaded. The fourth was more of the same, with Garcia, Jackie Stifter, and Jenna Isbel all picking up RBIs as the Bison extended the lead to 8-1. Stifter would add another with an RBI single to left field to finish the game at 9-1. The sweep was completed on Saturday, but this time would be tougher, as the Mavericks would jump out to an early lead. Leddy would get the start again, and Sydney Hames would get the Mavericks on the board with a solo homerun in the first. The deficit would grow for the Bison in the second as Nicole Warren would score two more with a single to center field. The Bison would recover, with Alyssa Reina’s eight homerun of the season cutting the Maverick lead to 3-1 in the second. With the bases loaded in the third, Julia Luciano would single through the left side of the infield to tie the score at 3-3. Hames would knock in another run for the Mavericks in the fifth. That was not the end of the scoring for the Mavericks, as Kylie Schwarting would score from third after a Leddy throwing error. 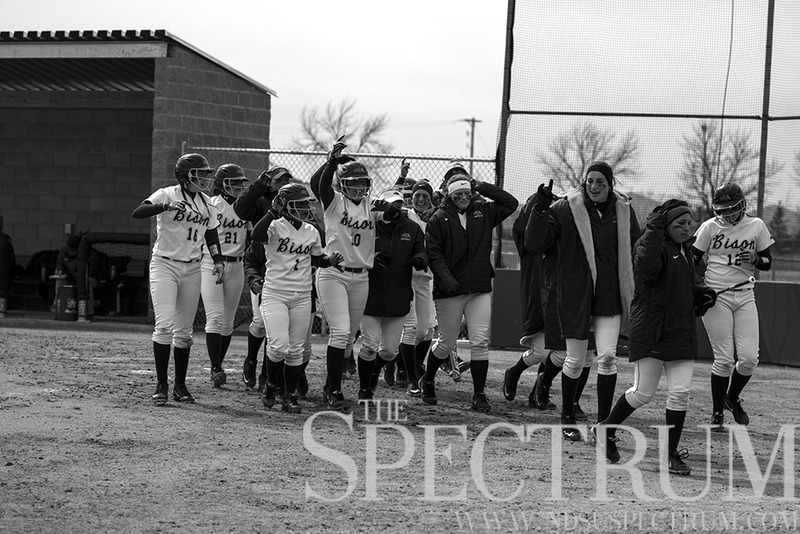 With the rally caps on, the Bison looked to come back once again in the sixth inning. They did just that. The game was tied once again after a Lopez-Portillo double down the first base line, scoring Stifter and pinch runner Joei Samper. Lopez-Portillo would score herself after a throwing error to give the Bison the lead. They were not done yet, as Garcia and Reina would plate one more apiece, and the Bison would hold on for a 8-5 win. The sweep means the Bison finish the regular season perfect in the Summit League, a perfect 17-0. This extends the conference win streak to 27 games dating back to last season. NDSU will finish the regular season with an overall record of 35-13, and a 9-1 record at home. Sertic improved to 22-6 on the season after her win on Friday, while Leddy’s pair of wins leaves her mark at 12-7. With the top seed, the Bison will have to wait and see who win the opening round game of the Summit League Tournament between South Dakota and South Dakota State. The tournament this year is being hosted in Fargo, and the Bison’s first game will be at 3 p.m. May 11 at the Ellig Sports Complex.